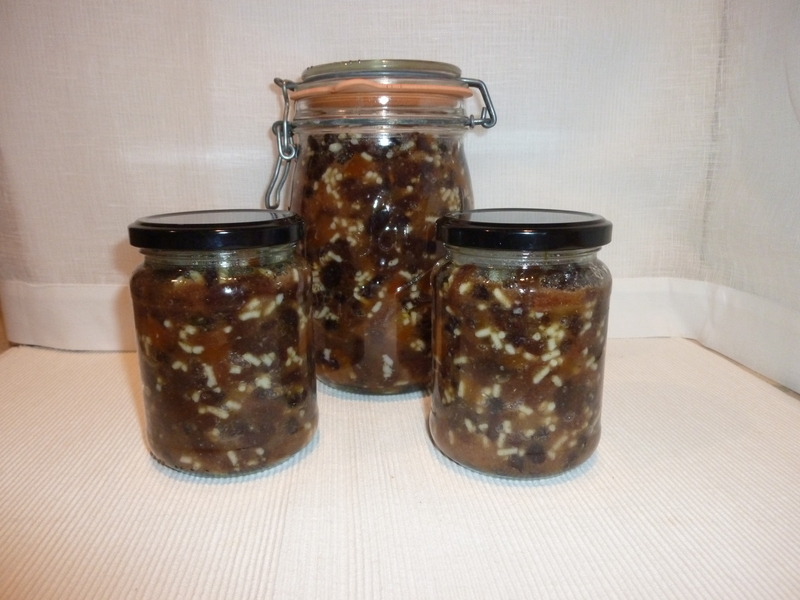 I have made my own mincemeat for 30 years. 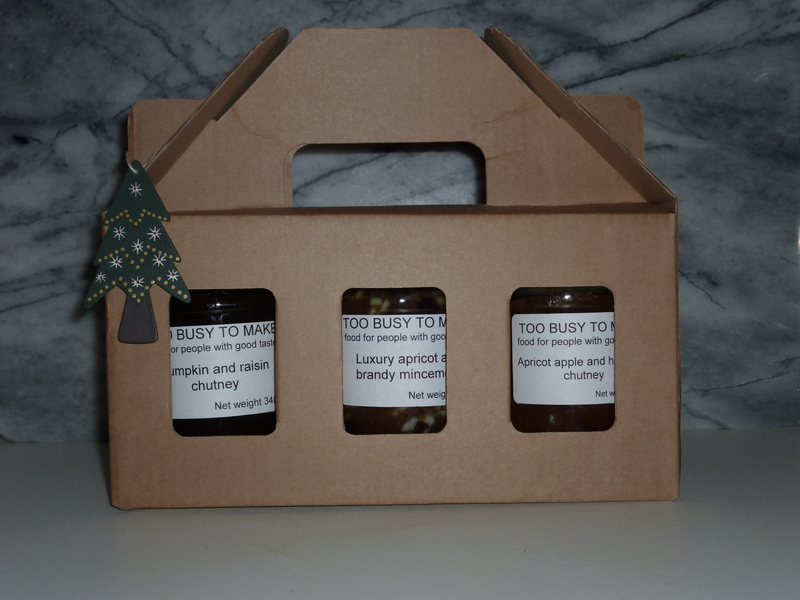 I think the flavour is much better and I know exactly what ingredients have been used – I can reduce the amount of sugar and use good quality dried fruits. 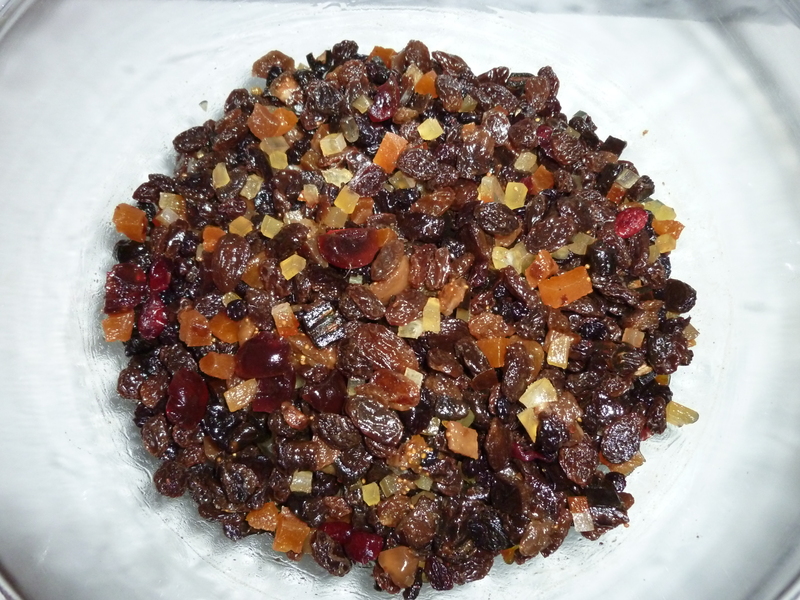 I use raisins, sultanas, currants and apricots and lots of brandy! 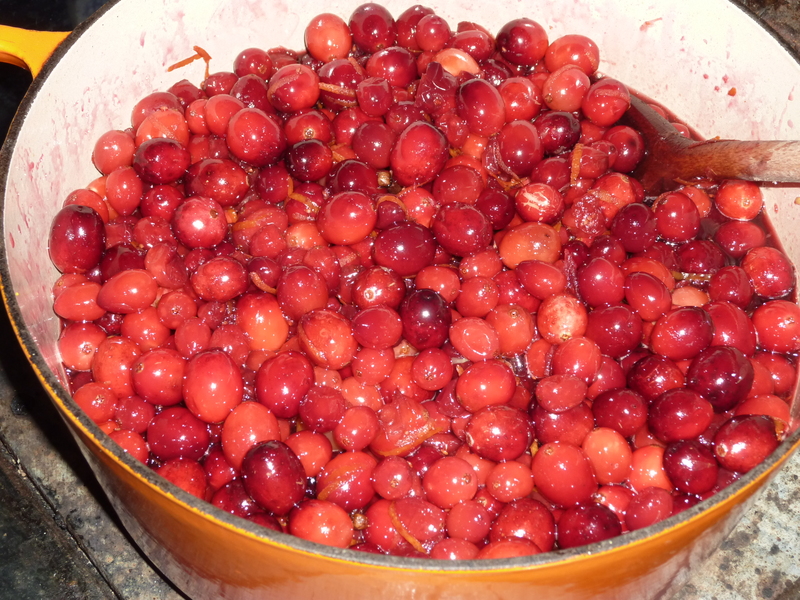 This gives the mincemeat a jewel-like sparkle and gives the kitchen a delicious aroma. I usually use vegetable suet so it is suitable for vegetarians. As well as using in mince pies, my family like it mixed with the apple in an apple crumble, used to stuff and bake in apples and in a cake. It lasts well if kept in a cool dark cupboard – up to 12 months. I keep the jar in the fridge after opening. 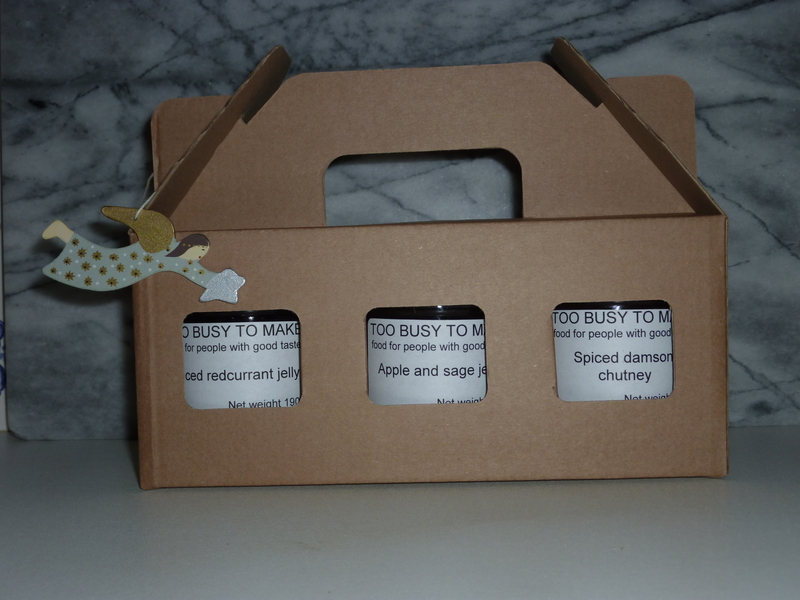 Jars are available to buy for £3.50 each. Please contact me if you would like to order. 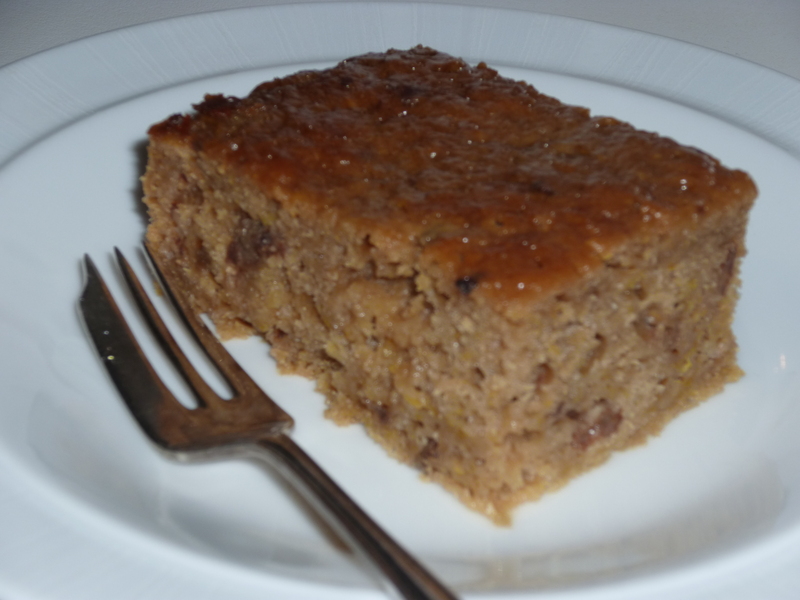 This Italian cake is make from dried apricots, figs, candied peel, nuts and spices with honey and sugar. 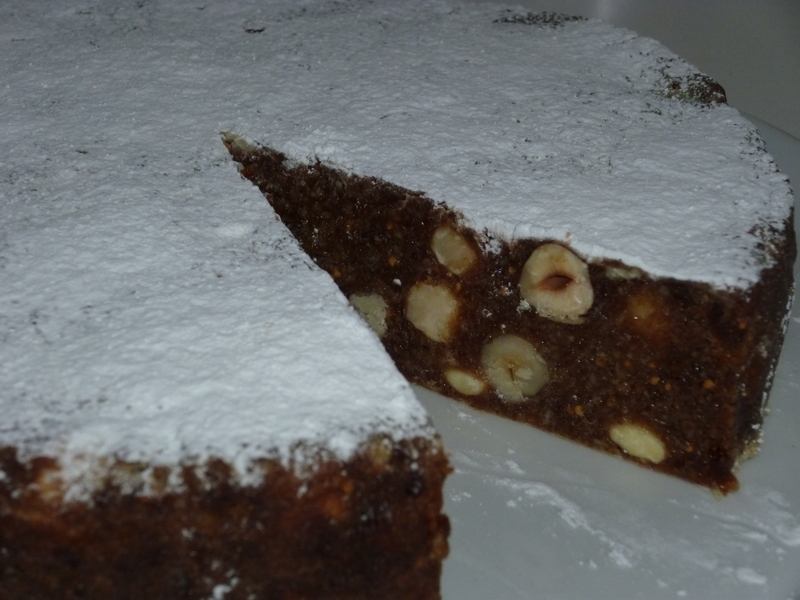 It has a dense consistency with the crunch of whole hazelnuts and almonds. Serve it with coffee or an afternoon treat – a little will go a long way. 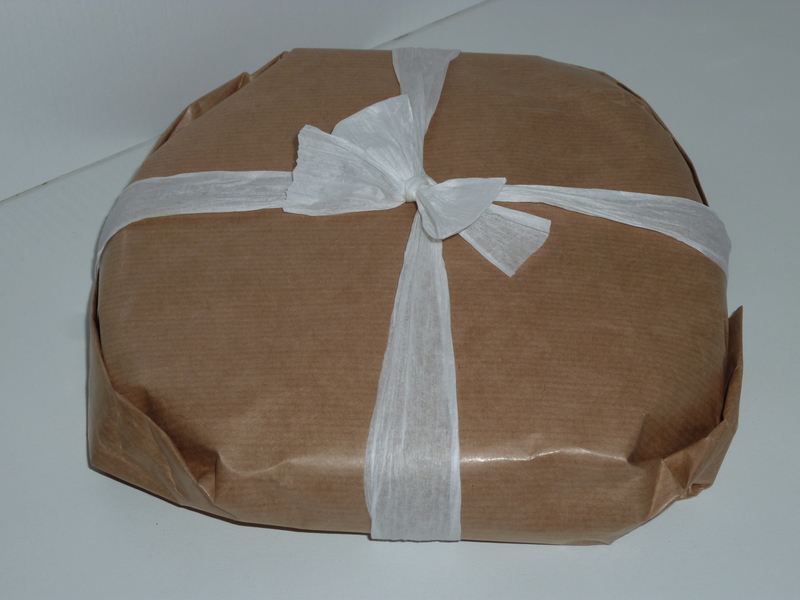 It also makes a good alternative Christmas cake and a perfect gift! You might ask whether it’s worth the effort making your own oatcakes but I have been converted and it seems so have my family. 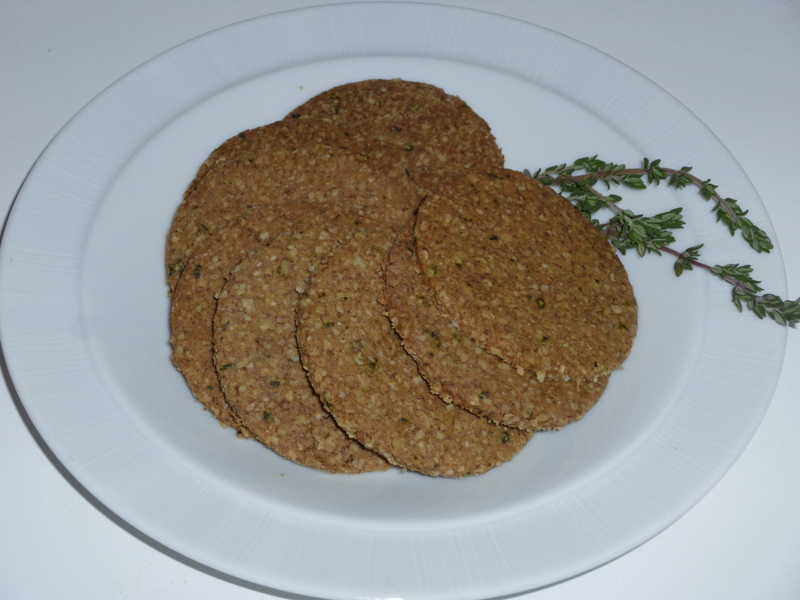 These are made with fresh thyme leaves and are a great addition to a cheeseboard. They can also be made wheat free. 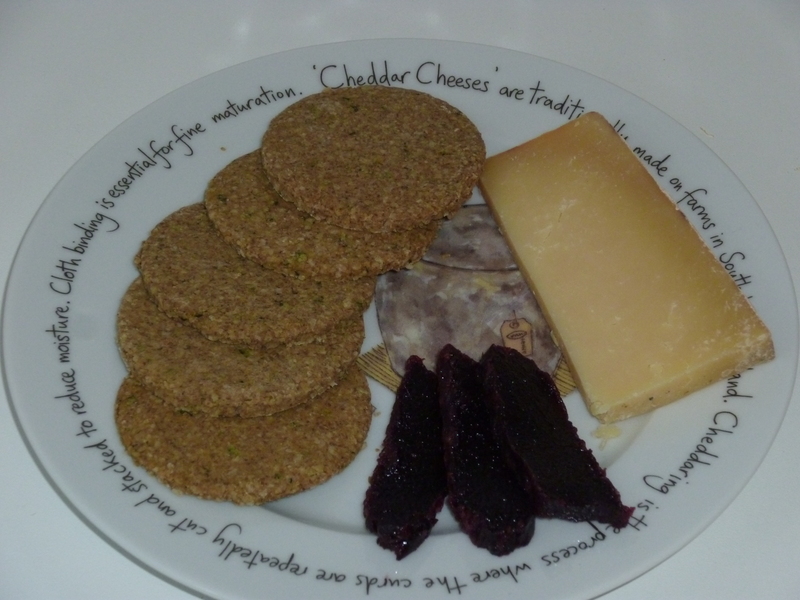 They make a delicious quick lunch when served with a good cheddar from Neals Yard and my damson cheese. 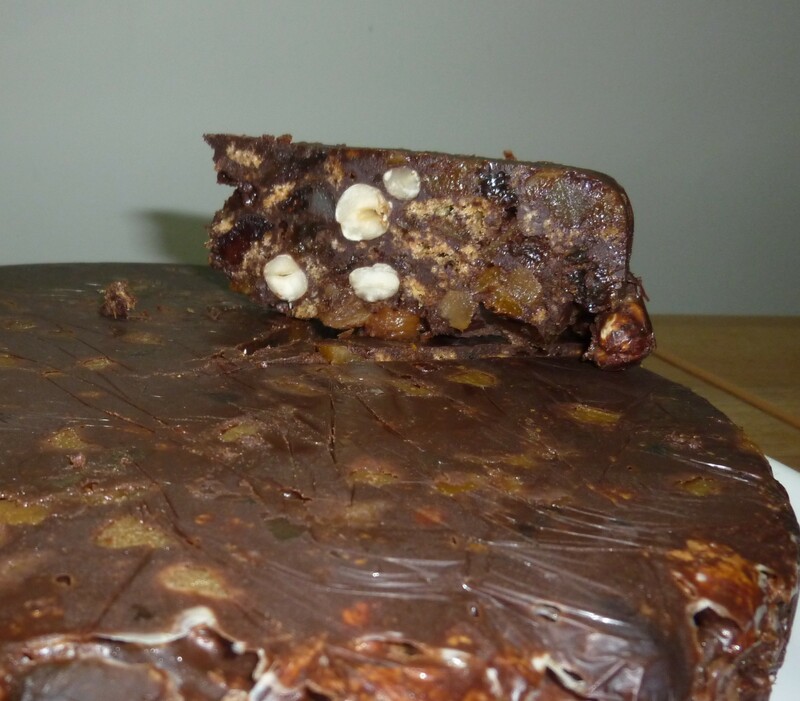 This is a rich fruit and nut chocolate cake containing hazelnuts, cherries, stem ginger, raisins, dried apricots and amaretti biscuits all coated in dark chocolate and butter. The dark coloured chocolate contrasts with the colour of the fruit giving this cake a jewelled appearance. 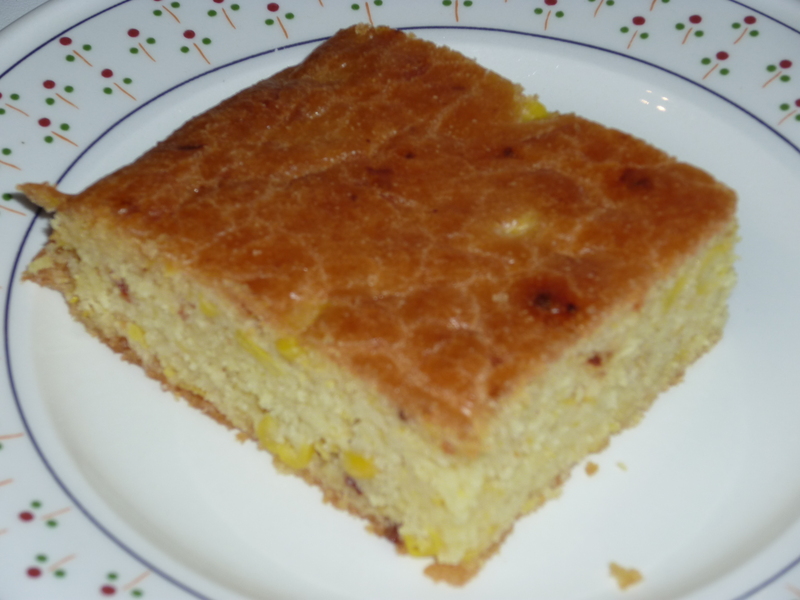 It sets in the fridge and can be cut into small squares to use as petit fours with coffee or small slices for a rich dessert. 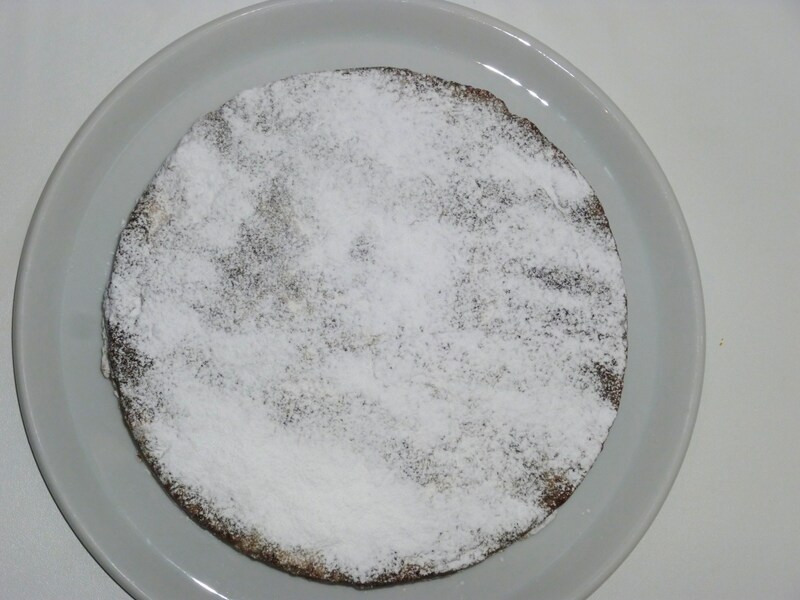 The amaretti are wheat and gluten free making this a useful gluten free alternative. I was asked to make a cake for a friend’s birthday breakfast and made this as it can be eaten with yoghurt and fruit but is not too sweet. It also has the benefit of being gluten free and having no refined sugar added. 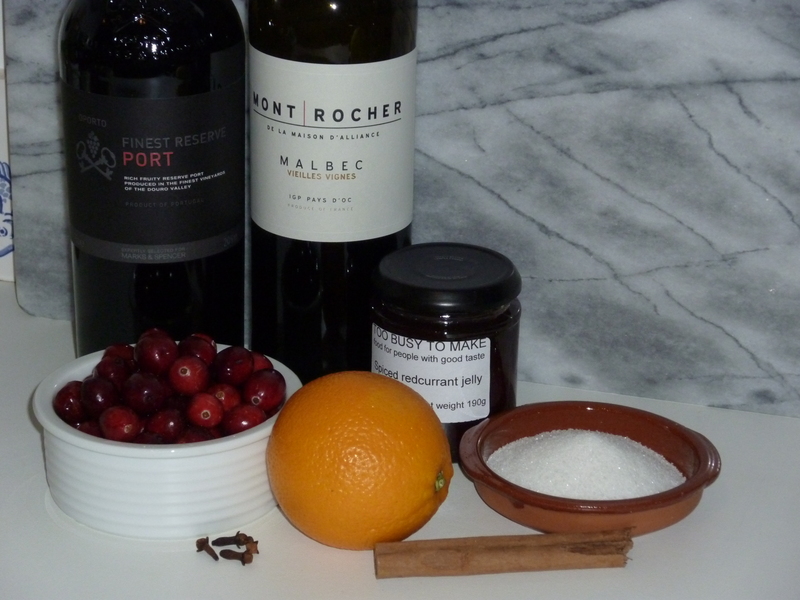 It uses unsulphured apricots (the dark ones) and ground almonds together with a boiled orange. 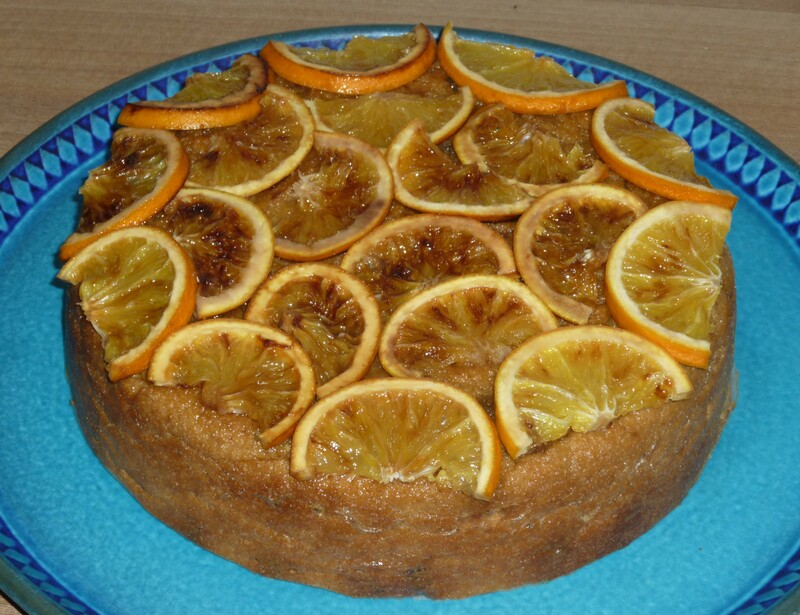 The cake is topped with orange slices. This also makes a great pudding. This year, I decided to make good use of the pumpkin I bought for Halloween. First, I made a pumpkin and corn bread with semolina and chilli flakes – it has a slightly gritty texture and heat from the chilli and goes well with soups. 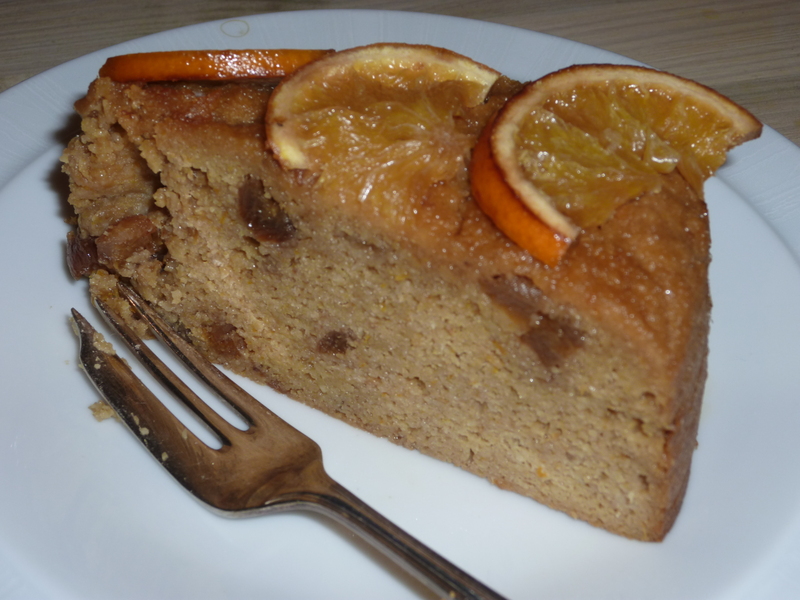 Next I made a sweet pumpkin cake, similar to carrot cake, with grated pumpkin and sultanas and flavoured with orange. I decided not to add the sweet cream cheese topping, although i can see that would make it a delicious pudding. 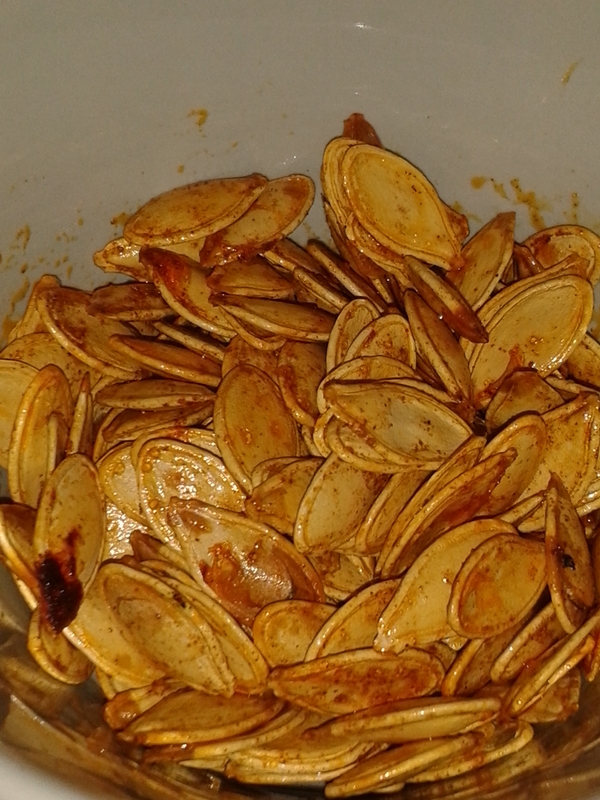 Then I washed the seeds and dried them out in the oven before tossing them with salt, smoked paprika and olive oil. They made a lovely crunchy snack. 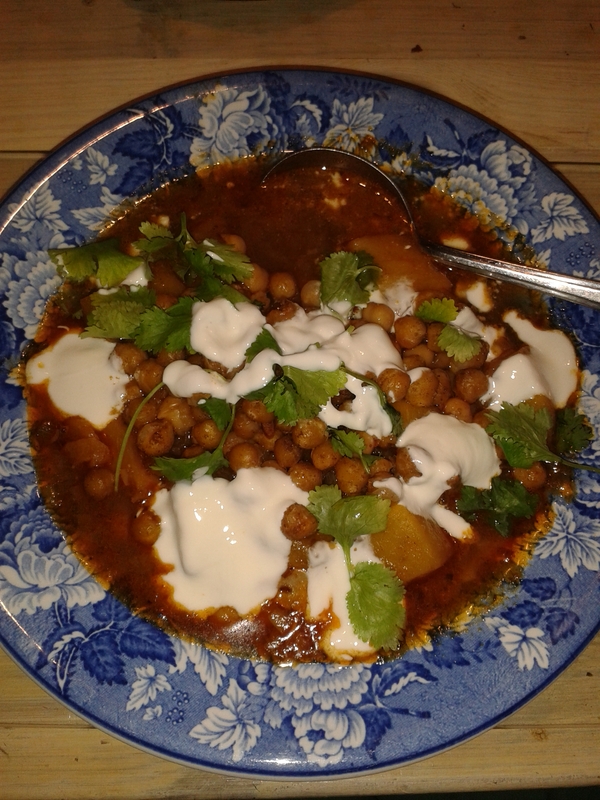 For supper, I prepared a spicy pumpkin soup with harissa and chickpeas as I had seen an interesting recipe in the weekend newspaper. 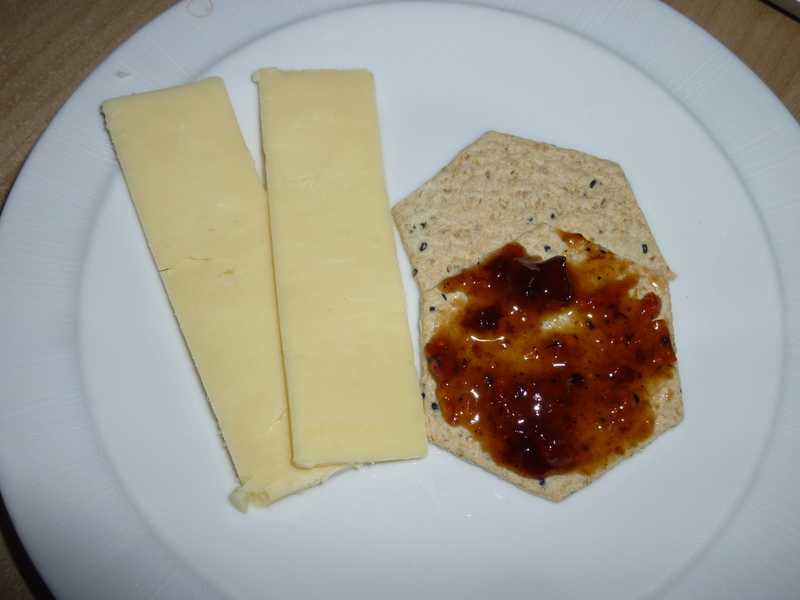 Finally, I made a pumpkin and raisin chutney with spices and pepper which goes excellently with cheese.